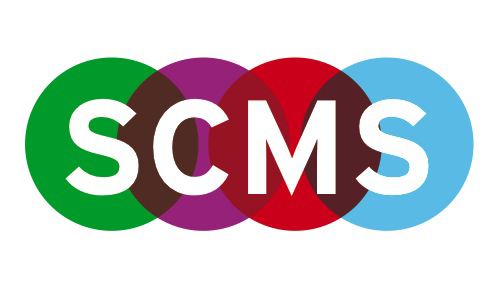 As usual, the annual SCMS conference was a hub of exciting new research. Below are abstracts for some of the work being undertaken in stereoscopic media that was showcased at this conference. It is commonly repeated in histories of American popular cinema of the 1950s that stereoscopic or “3-D” technology was a gimmick used by a rash and/or cynical motion picture industry desperate in the face of plummeting box office, to lure the public away from their television sets and back into movie theaters. The characterization of 3-D technology as a gimmick is drawn largely from contemporary critics of the popular press and stems from the technology’s unfortunate introduction into feature filmmaking via the independently produced, low budget film, Bwana Devil, and the ensuing rush of the Hollywood studios to capitalize on what was clearly the appeal of the technology over the content of that film. The spree of B-grade, often clumsily-made features that followed only confirmed for the critics their disdain both for the films and for the ill-used technology, including the glasses and the aesthetics of so-called “emergence.” The industry’s trade publications of the time augment this impression by portraying the studios’ actions as farcically impetuous. This account of the so-called “boom” of 3-D feature production between 1952 and 1954, likewise explains its “bust” as being due to the gimmicky nature of the technology, the glasses, and the cheap aesthetics, especially that of “emergence.” It does not explain, however, the ensuing cycles of 3-D’s reemergence and subsidence in the late 60s, early 80s, and the the first decade of this century, which continue to mystify us. A different-yet-parallel account of this period unfolds in the industry’s technical publications. In these, stereoscopy was never discussed as a gimmick nor was it considered cheap. On the contrary, realism, quality, and enhanced entertainment value were assumed to be the chief purposes of 3-D technology, with standardization being the most pressing goal of the period. But these writings also reveal that the awkward makeshift nature of the dual-band cameras, and their origins among many far-flung and independent tinkerers made this goal cripplingly illusive. Furthermore, the inability to standardize equipment and practices left exhibitors at sea to gamble on any one of many, expensive, technological upgrades. From the point-of-view of Hollywood’s technicians — by which I mean to include engineers, camera personnel, electricians, and chemists — who were trying to arrive at standards and support exhibitors, this chaotic situation was dire, and weak plots and weird glasses were not even minor annoyances. This paper intends to contrast the familiar popular-press-based account of 3-D in the 1950s with an overview of these behind-the-scenes activities and publications of Hollywood’s technicians, in hopes of taking a small step toward creating a more comprehensive history of Hollywood’s application of 3-D technology in the 1950s, with all of its attendant difficulties. In the bigger picture, 3-D represents a especially colorful case study of the intricate workings of technological research, development and adoption in the motion picture industry. Biography: Dawn Fratini is an Adjunct Professor at Chapman University and a PhD candidate in UCLA’s Cinema and Media Studies program. Her research interests are in Hollywood’s technological history, cinematic technology, and the operations and cultures of engineers, cinematographers and other technicians in the film industry. Her dissertation-in-progress is a history of engineers in Hollywood during the 1950s. Scholars, critics and audiences have internalized the discursive opposition of “authentic” native 3D and “fake” 2D-to-3D conversion. However, considerations of industrial labor, production cultures and the texts themselves reveal this assumption to be a misguided simplification. This paper employs original interviews with key figures at the Carlsbad, Calif.-based conversion company Legend3D to better understand an emerging, understudied Hollywood community. The paper borrows from the methodology of John Caldwell’s Production Culture; that is, I consider the companies’ releases and its employees’ disclosures not simply as sources of information but also as expressions of the cultural context within which they originate. These laborers self-theorize and “evangelize” with the knowledge that their work is often denigrated and ignored. This paper considers Alice in Wonderland (2010), Transformers: Dark of the Moon (2011) and Man of Steel (2013) as case studies of both the company’s 3D work and also the mainstream conversation about 3D. On a cultural register, 2D-to-3D conversion companies often rely on the directorial authority of a Michael Bay or a Zack Snyder to legitimize their work. On a technical level, the conversion work on a film advertised as shot in 3D (e.g. Transformers) reveals “native 3D” to be a slippery construct in a filmmaking landscape dominated by computer-generated imagery and compositing. By studying the conversions themselves and the surrounding discourses, we can better understand the work of these 3D practitioners. This paper will contribute to industry studies by focusing on a unique production branch, one alternately characterized as essential and wholly peripheral to tentpole creation. The research also seeks to further expand the study of 3D beyond exceptional art. Companies such as Legend3D are, more often than not, converting blockbuster releases that have not been legitimated by art house directors, documentary truth claims, or experimental aesthetics. I hope to resist the temptation to uphold exemplary 3D texts and instead better understand what David Bordwell might call an “ordinary work” of contemporary 3D production. In my larger project, I plan to combine production research and aesthetic analysis with a critical study of how practitioners and audiences navigate the cultural hierarchies and distinctions in the reception of 3D. Panel Respondent: Ariel Rogers is an assistant professor in the Screen Cultures program at Northwestern University. She is the author of Cinematic Appeals: The Experience of New Movie Technologies (Columbia University Press, 2013) and has published articles on movie technologies and spectatorship in Cinema Journal and Film History.